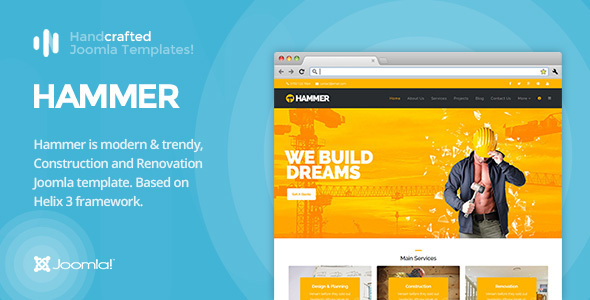 Hammer is a construction and renovation oriented template, designed for building companies and people that offer renovation and constructon services. Hammer is build on the popular Helix 3 framework and comes with all it's features and more. The design is trending, but classical, with bold colors which can be easily changed depending to your needs. We have also added a variety of pages with practical solutions for your construction business.